This article is about the area of the United Kingdom. For the similarly-named Australian state, see New South Wales. South Wales (Welsh: De Cymru) is the region of Wales bordered by England and the Bristol Channel to the east and south, mid Wales to the north, and west Wales to the west. With an estimated population of around 2.2 million, which is almost three-quarters of the whole of Wales, Cardiff has approximately 400,000, Swansea has approximately 250,000 and Newport has 150,000. The region is loosely defined, but it is generally considered to include the historic counties of Glamorgan and Monmouthshire, extending westwards to include Carmarthenshire and Pembrokeshire. In the western extent, from Swansea westwards, local people would probably recognise that they lived in both south Wales and west Wales. 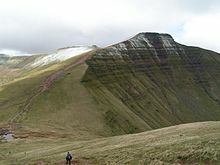 The Brecon Beacons national park covers about a third of South Wales, containing Pen y Fan, the highest British mountain south of Cadair Idris in Snowdonia. The South Wales Valleys and upland mountain ridges were once a very rural area noted for its river valleys and ancient forests and lauded by romantic poets such as William Wordsworth as well as poets in the Welsh language, although the interests of the latter lay more in society and culture than in the evocation of natural scenery. This natural environment changed to a considerable extent during the early Industrial Revolution when the Glamorgan and Monmouthshire valley areas were exploited for coal and iron. By the 1830s, hundreds of tons of coal were being transported by barge to ports in Cardiff and Newport. In the 1870s, coal was transported by rail transport networks to Newport Docks, at the time the largest coal exporting docks in the world, and by the 1880s coal was being exported from Barry, Vale of Glamorgan. Merthyr Tydfil (Welsh: Merthyr Tudful) grew around the Dowlais Ironworks which was founded to exploit the locally abundant seams of iron ore, and in time it became the largest iron-producing town in the world. New coal mines were sunk nearby to feed the furnaces and in time produced coal for export. By the 1831 census, the population of Merthyr was 60,000—more at that time than Cardiff, Swansea and Newport combined—and its industries included coal mines, iron works, cable factory, engine sheds and sidings and many others. The town was also the birthplace of Joseph Parry, composer of the song Myfanwy. Aberfan: The Merthyr Vale colliery began to produce coal in 1875. Spoil from the mine workings was piled on the hills close to the village which grew nearby. Tipping went on until the 1960s. Although nationalised, the National Coal Board failed to appreciate the danger they had created. In October 1966, heavy rain made the giant coal tip unstable, resulting in the Aberfan disaster. The recent dumping of small particles of coal and ash known as 'tailings' seems to have been partly responsible. A 30-foot-high (9 m) black wave tore downhill across the Glamorganshire Canal and swept away houses on its path towards the village school. 114 children and 28 adults were killed. The Rhondda Valleys (Rhondda Fach and Rhondda Fawr) housed around 3,000 people in 1860, but by 1910 the population had soared to 160,000. The Rhondda had become the heart of a massive South Wales coal industry. Mining accidents below ground were common, and in 1896 fifty-seven men and boys were killed in a gas explosion at the Tylorstown Colliery. An enquiry found that the pit involved had not been properly inspected over the previous 15 months. The local slang, dialect and phrases of the south Wales valleys communities have been referred to as 'Wenglish', and are often used with comic effect. The dialect is found in such coastal towns as Barry, as featured in the BBC comedy series, Gavin & Stacey. In the 19th and early 20th centuries, there was a vigorous literary and musical culture centred round eisteddfodau. Despite a few timid attempts to emulate this literature in English, it can be argued that few writers seem to connect with either the landscape or the literary tradition. The one exception, to some extent, can be considered to be Dylan Thomas. These industries have since largely been replaced by service sector industries. The television and film sectors are fast becoming a major industry in South Wales, with the development, by the BBC, of a vast dedicated production studio in Nantgarw, near Pontypridd, for the highly successful Doctor Who series. Lord Attenborough is shortly[when?] due to open the first completely new film studio in the UK in over fifty years. Dragon International Film Studios, a huge purpose-built studio complex located alongside the M4 motorway between Bridgend and Llantrisant, contains a number of large soundstages which have already attracted the interest of a number of Hollywood directors and producers alike, looking for suitable facilities in Europe. Great Western Railway operate services from Cardiff Central, Newport and Swansea to London Paddington with Class 800s. Most services in South Wales are operated by Transport for Wales Rail on the South Wales Main Line and associated branches such as the Valley Lines. The Welsh national media is based in Cardiff, with the BBC, ITV and S4C all having their main studios and offices in the capital. Cardiff also has its own television station, Capital TV, based in the Link Trade Park in Penarth Road, Cardiff. The channel broadcasts to most of Cardiff on terrestrial frequency 49. The company runs alongside a local media studies centre, Media4Schools which produces small videos in co-operation with local schools (CardiffTV4School and ValeTV4Schools). Wikivoyage has a travel guide for South Wales. ^ "People", Culture, Wales, UK: The BBC . ^ Thomas Glyn Watkin (2012). The Legal History of Wales. Cardiff: University of Wales Press. p. 107. ISBN 978-0-7083-2545-2. Retrieved 27 December 2015. ^ BBC Academy, 'Grammar, spelling and punctuation'. Retrieved 27 December 2015. ^ The Guardian, 'Guardian and Observer style guide: C '. Retrieved 27 December 2015. ^ Scorpion, ed. (1877), Cofiant Caledfryn, Bala . 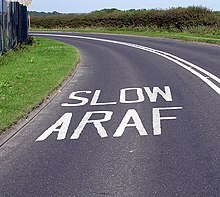 ^ Walters, Huw (1987), Canu'r Pwll a'r Pulpud: Portread o'r Diwylliant Barddol Cymraeg yn Nyffryn Aman, Barddas: Cyhoeddiadau . ^ Menai, Huw (1928), "Hills of the Rhondda in Autumn", in Rees-Davies, Ieuan, Caniadau Cwm Rhondda: Detholiad o Delynegion, Sonedau a Chaneuon Cymraeg a Saesneg, London: Foyle's Welsh Depot, The rust has gathered on the plough, The tide of Autumn here is high, The hills are at their reddest now ... .
^ Davies, Aneurin Talfan (1955), Crwydro Sir Gâr, Llandybie: Llyfrau'r Dryw, pp. 104ff . ^ Jenkins, John Gwili (1931), Hanfod Duw a Pherson Crist: Athrawiaeth y Drindod a Duwdod Crist, yn bennaf yn ei pherthynas â Chymru, Liverpool: Gwasg y Brython . ^ Wesley, John (1903), Journal (abridged ed. ), London . ^ Diocesan Yearbook, Llandaff, c. 1977 . ^ "Complete list of parishes and clergy". Crockford's Clerical Directory. Great Smith Street, London SW1, 1999: Church House Publishing. 2000–2001. .
^ Cusack O'Keefe, Madge (1970), Four Martyrs of South Wales and the Marches, Archdiocese of Cardiff . ^ A Mill Hill Father (1969) , Remembered in Blessing: The Courtfield Story, London: Sands & Co, Until the 1890s Courtfield and Welsh Bicknor parish were part of Monmouthshire, and hence in South Wales . ^ popular accounts (display)|format= requires |url= (help), Cardiff: St Fagans Museum . ^ "1984 strike", Events, UK: Agor . ^ Welsh coal mines, UK . ^ "Wales", News, UK: The BBC, 25 January 2008 .